From wine refrigerators to custom beer kegerators, our trained and experienced design experts can turn any living space into a common area! At Lang’s Kitchen & Bath, we believe that home design not only fulfills the practical requirements of a room, it should enhance your lifestyle and change the way you use the space. Do you have kids and a busy household? Do you love to entertain? Or, perhaps you enjoy relaxing with friends over a cup of coffee or a glass of wine? Adding a beverage bar to your kitchen design can turn an otherwise underutilized space into a focal point for entertaining. A designated beverage station is positioned away from the main cooking area, allowing children or guests to easily access drinks without interfering with the work taking place in the kitchen. From coffee bars to wet bars to wine cellars, Lang’s Kitchen & Bath brings an innovative approach to beverage bar design that will be sure to surpass your expectations. 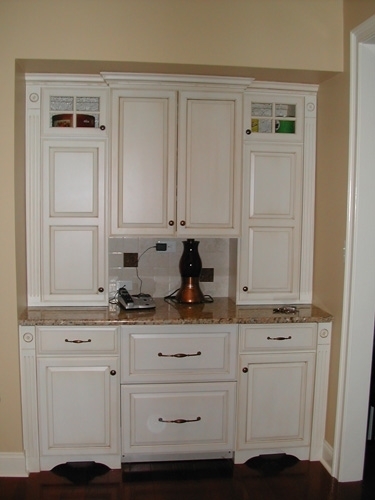 Depending on your space and requirements, the beverage center could be a freestanding hutch, a separate section of built-in cabinetry, or simply a designated area of counter space and storage. Are you a wine connoisseur seeking a place to house your favorite vintages? Imagine a handcrafted bar top, made with locally sourced wood by Bucks County artisans and a wine refrigeration unit to keep your Chardonnay and Sauvignon Blanc at the perfect temperature. If you do not have space for a full wine bar or wine cellar, a simple, well-positioned wine refrigerator will do the job. Perhaps you’re a coffee nut who loves to host fabulous brunches. Lang’s can design a stylish beverage bar to display your coffee accoutrements and custom cabinetry to hold your serving dishes. Or, opt for a built-in coffee maker for the perfect cup every time without taking up counter space. From custom cabinets with lots to storage to stone backsplashes, our experienced designers will collaborate with you to design gorgeous beverage bars and spaces that suit your tastes and entertaining style. 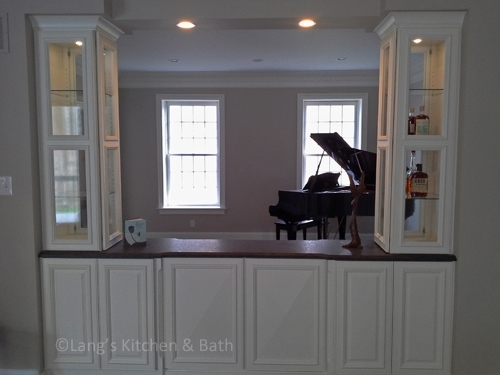 For ideas and inspiration or to start planning your new beverage bar, stop by Lang’s showroom, located in Newtown, Pennsylvania.